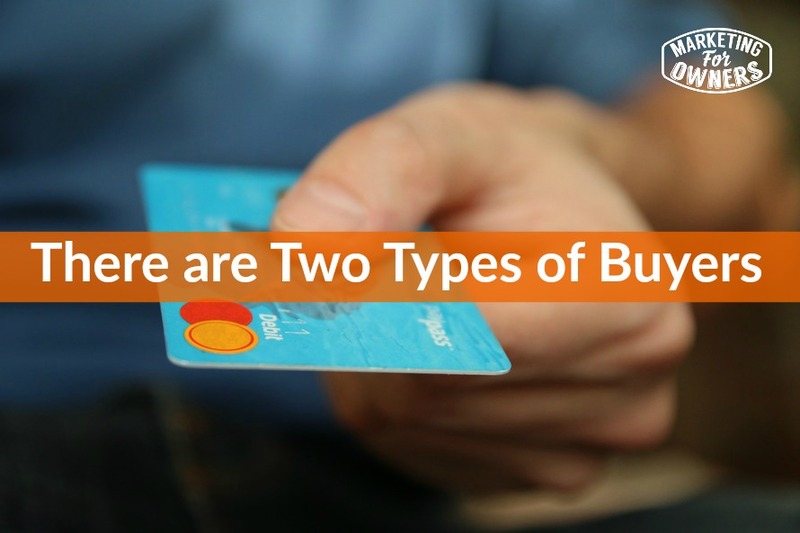 I actually said there are two types of buyers and I mean in relation to the way I am going to discuss this. There are probably many other types of buyers, so I apologize to all other buyers. But let me explain and perhaps it will all come to you. Firstly, there are people who will buy your product and then the second type, there are people who will buy opportunities. So what I mean by that is really relation to your online marketing and when you nurture people, nurture leads and get them to eventually buy your product. So of course you can have worked out that they are the perfect potential customer, you’ve got all your avatar persona everything all geared up as I do, you know they are the right person for this. But when they arrive in front of your product, some of them are just ready to buy, they were going to buy anyway, they just want to buy, they need it right now. And bingo, done, sorted. Now on average on say an e-commerce site, those people in the vast majority of visitors, are probably two or 3%. In actual fact, more targeted from an advert, they are going to be more like five or 10%. But what about all the others? All those other people that are your target customers that didn’t buy, what happened with them? Now of course, they may not like your offer, they may think you are too expensive, so you haven’t communicated the value adequately. But, more often than not, it just is that they’re not ready to buy today. They were looking for information, you tempted them, they were interested, they wanted to see what it’s about, it’s something that they like, they know about, they just weren’t in a position to buy it today. So I will give you an example in my fire safety business. I can talk to people via adverts about what types of fire extinguishers you will need for your business. Someone comes along and they read it, perhaps they are going to be setting up a new business and they’re getting the keys to their new retail store, their shop in two months time and they’re doing all the research. And they land and the think “Fantastic, that’s great.” But they are not ready to buy, so they read it, they learn, they get informed, you’ve done your job, off they go. Now, two months later, when they need it, they have the information they need. If you haven’t kept in touch, are they going to remember you? So, the other alternative is if they’re not ready to buy now, you need to keep in touch with them, you need to nurture them, you need to get them to know you, you need to get them to like you and then you need to get them to trust you. During this process, they know so that you have kept in touch perhaps weekly, every couple of weeks, perhaps more, certainly not less, then they will remember your name when it comes down to it. We are about the getting to like you. Of course if you’re going to annoy them with e-mails that send offer after offer after offer and try and force them to buy when they are not wanting to buy, then they’re not going to like you, so you need to have them like you. And during that process if you give them enough information and explain stories in a way that how this has affected others, how you have some other problems, how other people had a similar situation to them and what they did to solve it and how you helped, then they will get to trust you. But during this process, you can occasionally offer what I would describe as an opportunity. Now this isn’t so much an offer, because you could get confused between an offer meaning a discount, two for one, buy it now etc. But an opportunity. Now an opportunity needs to be geared to the individual, it needs to feel like it is time sensitive. If they don’t do it now, it will go away, it needs to exude value. So in other words, it’s something that is great that they should not miss out on. And it needs to feel like they are special. They know it’s not just for them, but they’re one of a selected few that have this opportunity. Now they’re thinking they’re going to need this in a couple of months, but now you’re talking, wow, I am going to need it, but that’s not going to come around again, I might buy it now. So therefore, you’ve got those two different people. Like I said, give another example, you go into Tesco’s or Wal-Mart and you go grocery shopping. You’re going to buy your milk and you’re going to buy this, but as you walk through those aisles on the end of the they quite often have all the special offers. That’s how you can help someone to buy your product. It needs you to keep in touch with them and to throw something like this in rarely, to make it sound like it is an extremely good offer. Of course, it’s pointless selling things where you can’t make any money, unless you have a high follow-up series where they are likely to buy more and spend more in the future. But quite often it’s to add extra things. If you’ve been to say a camera store or an electronics store, you might buy something and they will throw in the delivery, throw in installation, they will throw in taking away your old TV or fridge or whatever you are buying. On a camera store they may throw in a bag and a cleaning kit, and those little extra value things and this is just today only. That would make you think wouldn’t it, you’re looking in the camera store because, of course there aren’t many camera stores anymore, you’re looking in the camera store because like cameras and at some point you’re going to be tempted to buy. Try and get your customers like that because like I said, they were a tiny percentage of them that are ready to buy right now, but if can make an opportunity, people will buy that. I hope that made sense. It made sense to me. So, it is Thursday, it’s time for a drive time podcast. Today, we are recommending Todd Henry. Now this one is slightly different, it’s another one for inspiration, I like inspirational ones. Now, this is a fast world, create on demand stuff means you’re always on, always under pressure is there you need to be able to relax, you need to be able to be inspired. Todd’s thing, it’s got hundreds of reviews, it’s great it’s been going for a while. Seems to be every week or so and they are generally up to about twenty minutes, occasionally sort of eight or nine minutes, but they are nice, it’s well recorded, good audio, I do like it, so go to iTunes. While you are there, by the way, why not throw in a little review for good old Marketing for Owners podcast. It would be appreciated. By the way, if you do go to the website at marektingforowners.com, you can see all the old podcasts, all the previous ones, the other 393. There you go. Anyway, lets me know what you think. 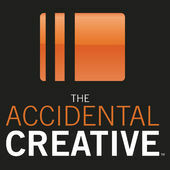 But go check out The Accidental Creative by Todd Henry and you can also go to his website, accidentalcreative.com it’s got lots of information there and again all his archival podcasts. I think you will like it.